Wrinkles in fact are said to one of the effects of dry skin, because, well, if your skin is well hydrated, your wrinkles plump up and become less noticeable. Do any of these symptoms seem familiar to you? Feeling of discomfort, fine lines and wrinkles, loss of skin elasticity, premature ageing, dry skin, tight skin, uneven skin, redness, flaking, scaling, itching? If you’ve ticked some of these symptoms, you could be having dry skin. So, if hydrating care is what you need then Hada Labo is the ideal skincare brand for you. 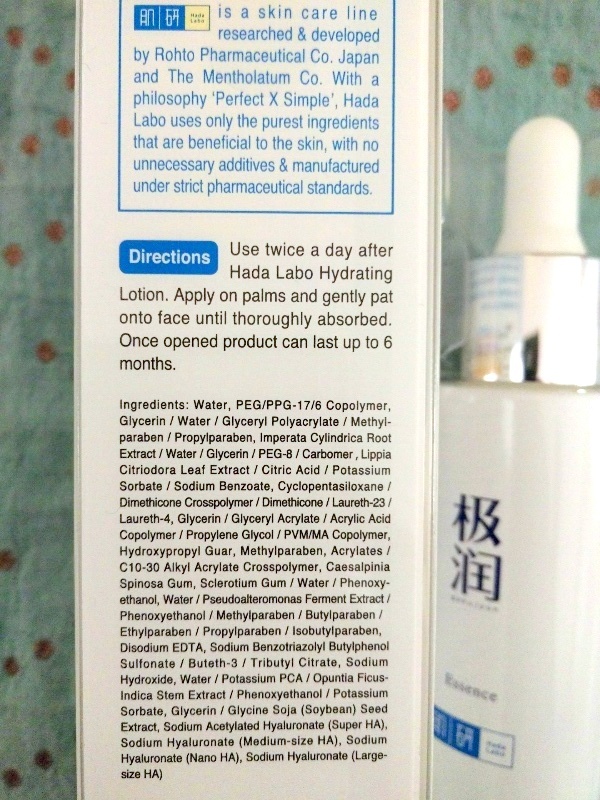 Hada Labo has always been committed to bringing the most advanced technology in hydrating skincare. 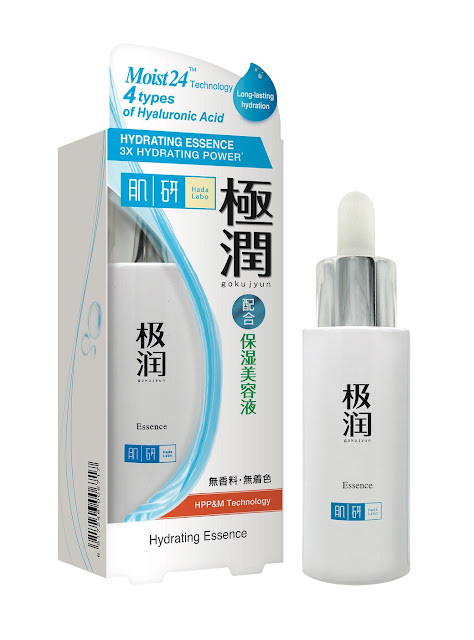 Hada Labo's new Super Hyaluronic Acid Hydrating Essence, the latest improved formula is formulated with Moist24™ Technology that provides 24 hours hydration and combines with 4 types of Hyaluronic Acid, this new hydrating essence moisture concentration is 3 time more than the hydrating lotion. 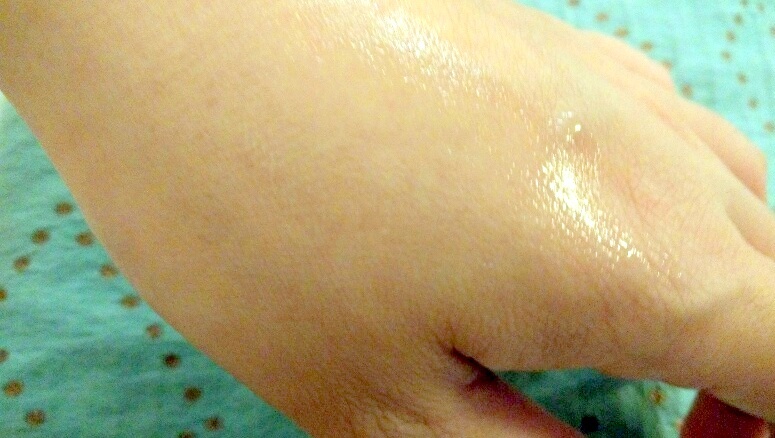 It fully hydrates the skin from the surface of the skin to the inner layers of the skin. The benefits of the Hada Labo Hydrating Essence include its active ingredients’ ability to form a natural water reservoir to continuously retain, lock and restore moisture in the skin. Used together with Hada Labo's Hydrating Lotion, our skin can achieve a 30% moisture increase while maintaining its hydrating power for more than 7 hours. 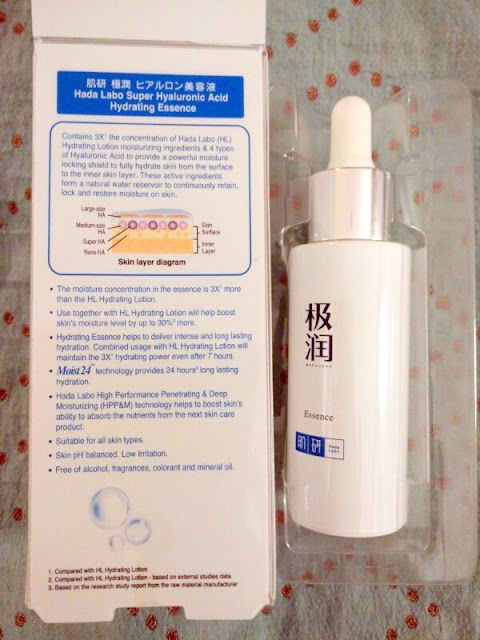 In addition, the Hydrating Essence is also formulated with Hada Labo's High Performance Penetrating & Deep Moisturizing (HHP&M) technology. This technology helps to boost the skin’s ability to absorb the nutrients from the next skin care product you apply on your skin. 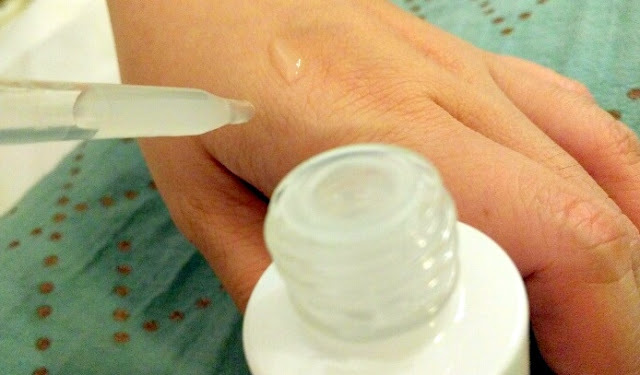 Many women do not have the habit of using essence. However by adding essence to your daily skincare regime (after lotion, before moisturizer), you can effectively treat the deeper layers of the epidermis. The usage of essence is highly recommended for those who have dry & dehydrated skin as the usage of essence will give you noticeable results. Ideal for all skin types, the Hydrating Essence is skin PH balanced and low irritant. It is also free of alcohol, fragrances, colorant and mineral oil. i ahave dry skin problem too ! this 1 like vry helpful ! Hi, I tried to find the essence but no luck. Could please give me the names of pharmacies where i can buy it? Thanks a million!